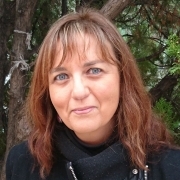 Sociologist, member of the Network for people's energy sovereignty of Catalonia and the Alliance against energy poverty of Catalonia, has participated in several actions and programs of advocacy and awareness-raising regarding the energy model and the impacts of large infrastructure projects at catalan and EU level. Chemist, member of the Network for people's energy sovereignty of Catalonia and the Climate Justice Movement, has participated in several actions and programs of advocacy and awareness-raising regarding the energy model and the Climate Change Legislation in Catalonia. In recent months a lot has been said in Spain about energy. The surge in prices, how energy poverty is rapidly expanding (or becoming more evident) every winter, and also the different processes underway, here and everywhere, searching for loopholes so that energy is at the service of people, and not for the profit of large transnationals. The increase in prices last January and, even worse, the appalling death of a neighbour in Reus in a fire at her home caused by a candle she used for light after Gas Natural Fenosa cut off her electricity one month before, has led a growing sector of the population to say enough impunity for the actors controlling this sector and the opacity that characterises them, especially in the Spanish State. Several structural aspects that govern the energy sector (especially the electricity one) are potential generators of inequalities and disempower citizens at different levels: energy bills that lead to financial debts that are hard for some citizens to pay; the exclusion of some citizens from a guaranteed energy supply and also the right to decide on energy matters. All this comes at a transcendental moment, when it becomes critical to push for conditions that ensure the energetic democracy, and also to face up to the transition of our energy model, compelled by the depletion of fossil fuels, climate change and the physical limitations of our planet. The energy sector in Spain is concentrated in an oligopoly of 5 companies that, although by law should clearly distinguish energy generation activities, distribution and commercialisation, in practice do not do this. And this leaves them in a privileged market position when it comes, for instance, to fixing prices, at the expense of the population they supply. Furthermore, Spain has the fourth highest electricity prices in the European Union, and Spanish electricity companies are the ones accumulating the highest profits. The consolidation of the oligopoly made up of five companies, all of which are associates of UNESA, controls the electricity sector which, ever since changes were made to the setting of electricity prices when the sector was liberalised in 1998, has entered into the logics of generating a debt of the population with the electricity companies, known as the “rate deficit”, allegedly due to a mismatch between cost and revenue. At the same time, prices have been rising non-stop in recent years and what is illogical (and also totally unfair) is that electricity companies no longer have to justify electricity prices on the market, meaning that we have no knowledge on the real price of energy, although we’re constantly being told that we aren’t paying enough. In this context, many families are unable to pay their electricity bills and, until very recently, the consequence of this was that their supply was cut off. Luckily in Catalonia, since last July 2015, electricity, gas and water companies are not allowed to cut off the supply to vulnerable families, thanks to Law 24/2015 promoted by citizens and adopted in Parliament. This law includes the precautionary principle, forcing companies to check with the social services to see if a family that has failed to pay a utility bill is in a vulnerable situation before cutting off any supply. Despite this important step forward, until now some of the operators conforming the oligopoly have not complied with this law, which has led to regrettable situations such as that of Rosa from Reus, which could have been avoided. At a national level in Spain, the only thing that has been achieved so far is the inclusion of an amendment in the law regulating the electricity sector to protect people faced with extreme energy poverty. This is a measure that is yet to be materialised and, since the law governing the electricity sector was amended (the same one that allows for the concentration, opacity and impunity), this could have been much more ambitious than simply adding a few paragraphs and then holding a pompous press conference just before Christmas. Furthermore, in this framework, the energy transition from a model of centralised generation, based on fossil fuels and nuclear energy, oligopolistic and socially and environmentally unfair, towards a distributed model, based on renewable energies that is democratic and fair, is blocked, entailing very serious consequences in the mid and long-term. The electricity distribution sector is key to this, since it requires, and is also an opportunity for, a profound change in the system: turning consumers into producers and consumers (prosumers) and the corresponding technological change in electricity distribution networks to favour this self-consumption with a net balance. This change would require a revision of ownership, management and governance of electricity distribution networks that is not happening. In Spain, the ownership and management of these networks are not independent, which makes it very difficult to promote mechanisms for citizens to regain control, as has happened in cities such as Hamburg. It is therefore clear that any palliative solution will not change the structural causes of this disempowerment. It is urgent that laws such as 24/2015 are complied with and replicated in different places, as well as for citizens to continue demanding control over these sectors, taking it to the ultimate consequences, going as far as re-municipalising these services. Localising energy is not only a desirable proposal, it is an urgent demand. (Re)gaining control and being able to decide on the quantity of energy, its sources and uses, etc. can allow us to better accommodate the energy needs of the population, while being aware that we are referring to a de-growth in consumption. As soon as transparency and active participation are placed at the centre, there will be a broader and more conscious sense of responsibility. So nobody is to be left out, citizens must draw the red lines that are not to be exceeded –even more so when talking about something so essential for a life in dignity–. Until then, decisions on what can be done with these resources and for what purposes will continue to be in the hands of those controlling them.